Joe – I’m loving the looks of RedRock and blown away by the Ford coupe. Very nice to hear from you Michael. Hope all is well. You reckon they filed a “Blocker” and “escalated” after the contact with the guardrail? LOL!!!! The articles I’ve read indicate that it’s not an evolution but completely new — based on the Caddy CTS-V architecture and floor pan. It may “look” like an evolution, but every bit of the car is new. Correct you are Michael. I have read those same articles too and indeed the car is new. I failed to be specific enough in my post regarding my comment about evolutionary rather than revolutionary. 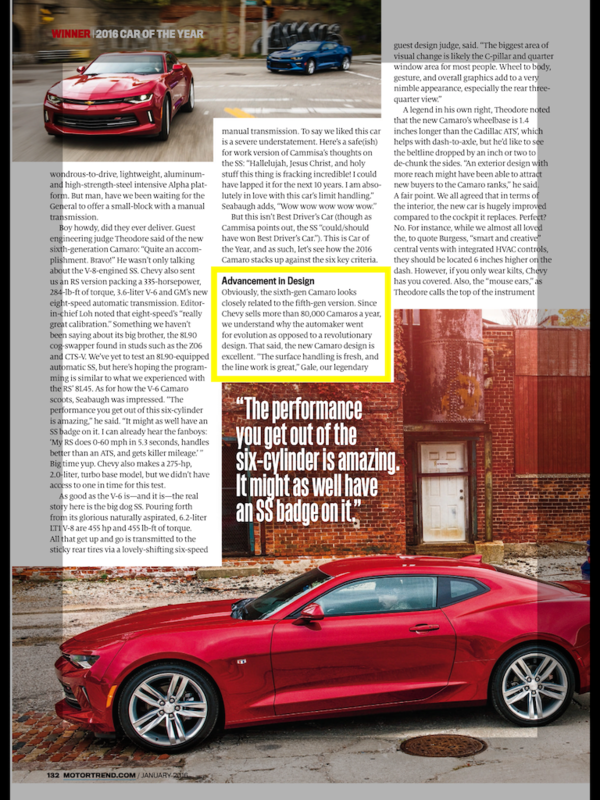 I’ll add the following screenshot from the January issue of Motortrend magazine – see the area in the yellow box.